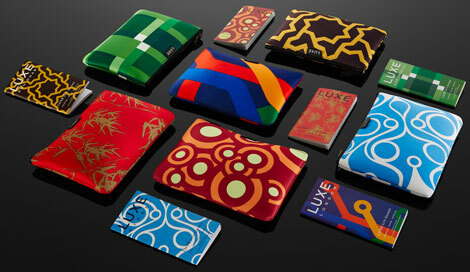 Etihad Airways has launched a new range of business class amenity kits. 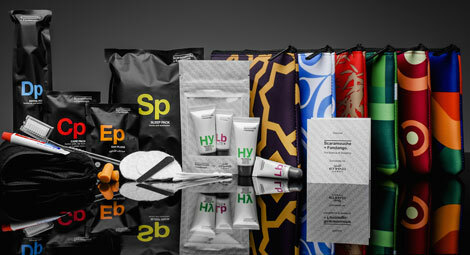 The carrier has teamed up with Luxe City Guides to create six limited edition bags, each containing Scaramouche + Fandango products. The designs are inspired by six destinations — Abu Dhabi, London, Madrid, Los Angeles, Sydney and Hong Kong — and each comes with a corresponding city guide. More cities and designs are due to follow, Etihad said. The kit contains facial moisturiser, a honey and shea butter lip balm, a sleep pack containing socks and eyemask, a care pack containing cotton pads and earbuds, a dental pack and earplugs. Last week, Emirates announced it had updated its amenity bags for its first and business class passengers (see news, October 15).